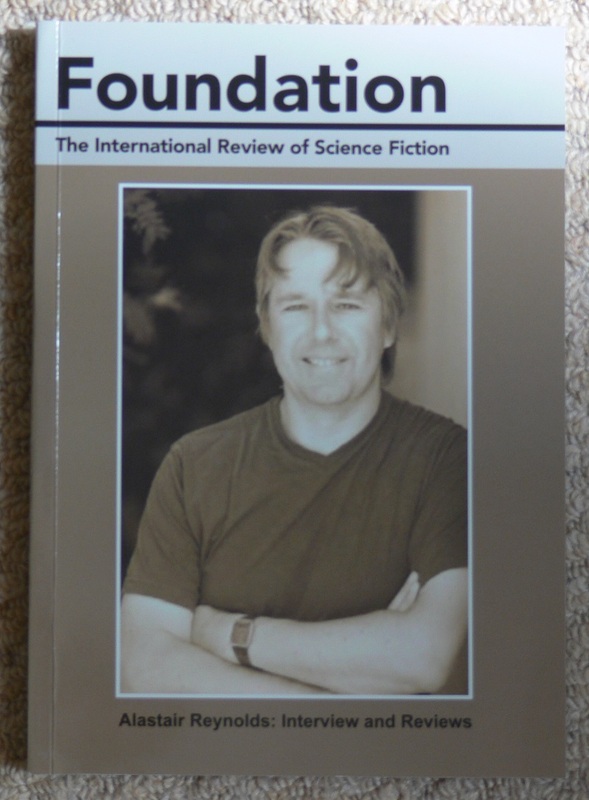 Will Slocombe of the University of Liverpool has kindly contributed two articles to the current issue of Foundation, the International Review of Science Fiction. There's a lengthy interview with me - which we did face to face on a park bench in Cardiff last year - and two reviews, one of Poseidon's Wake and the other Slow Bullets. "What both Poseidon's Wake and Slow Bullets suggest is that Reynolds has yet again managed to switch tones and styles in his writing, but retain his sense of perspective and invention to still keep readers hooked." I am very grateful to Will for these contributions. Pleased to announce that I've sold a pair of stories set in two of my established universes. The first, "Belladonna Nights", takes place in the House of Suns timeline a few million years earlier than the events of the novel. Campion plays a part in the story. This will appear in an as-yet-untitled original anthology with an exceedingly interesting conceptual premise, and I was really thrilled to be able to contribute something. The second, longer piece, is entitled "The Iron Tactician" and is a new novella featuring my long-running character Merlin. Previous Merlin stories were "Merlin's Gun" (1999), "Hideaway" (2000) and "Minla's Flowers" (2007). The very tentative plan at the moment is that the novella will appear as a standalone chapbook, but we should have a firmer idea in a few months, and of course I'll give fuller details on where these stories will appear in due course. It was enormously enjoyable to dig back into these two universes, after nearly a decade away from them, and in both instances I felt the distant glimmerings of new story ideas. So we'll see. 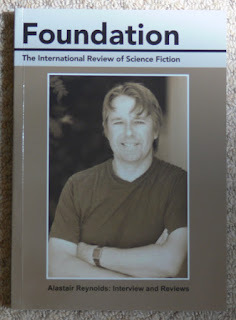 I was away for a few days without internet access and discovered when I returned that my novella "Slow Bullets" has been included on the "SP4" Sad Puppies list for Hugo nominators. At this point it's of no concern to me whether this is a slate or a set of recommendations. Given the taint left by last year's antics, I don't care for any work of mine to be associated with any list curated by the Sad Puppies. The list was announced at Kate Paulk's website Madgeniusclub.com. Late last night I left a comment asking - politely, I hope - for the story to be removed, but after I checked the site in the morning I couldn't find my comment and the story was still listed. I've tried to leave another comment to the same effect. Here are some one-line plot synopses from a TV series set close to the present day. This is the world of 2013 – or rather the world of 2013 as envisaged in 1968, when Gerry Anderson began making Joe 90, the last of his series to be based exclusively around Supermarionation. Never as popular as Stingray, Thunderbirds or Captain Scarlet, Joe 90 nonetheless remains strikingly prescient in its vision of a messy, mixed-up twenty first century, neither entirely good nor entirely bad, neither simplistic utopia nor grimdark dystopia. The storylines may be rudimentary, and there’s seldom any real sense of jeopardy in Joe’s adventures, and yes, it’s puppets (you have to get past the puppets, I’m afraid) but the world presented here is a much closer fit to our present than that predicted by almost any other TV series of similar vintage. No one wears shiny suits or shoulder pads. People wear normal clothes, live in normal houses or thatched cottages, they drive on normal roads with normal road markings and road signs. There’s still a Dorset. They go on skiing holidays, fishing trips, attend piano recitals and so on. Even the vehicles, while futuristic, look perfectly plausible to modern eyes. Unlike Star Trek, which presented a flawless post-monetary future completely detached from our own, Joe 90’s future was built on the present. This was something Gerry Anderson got right in almost all his puppet shows – a sense that, even decades hence, a lot of old stuff would still be hanging around, and while global institutions might come and go, the world would still be as busy and complex as it is in the present. There would still be money, and where there was money there would still be bank robbers and forgers. The Anderson shows didn’t necessarily share the same future, although it generally looked as if they did – but what they did share was a common idea, a unifying notion that, for all the gadgetry and hardware, some things just won’t change. It shouldn’t be a radical notion, but it’s one that Gerry Anderson alone seemed to really take on board. Of course there are lots of things missing from the series – there’s nothing like the internet, there are no digital media, there is no hint of climate change – and the race and gender politics is at times very dated, although no more so than in any other series from the same timeframe. But the central triumph is that Anderson created a future one could believe in, rather than some idealised daydream of starships and warp drives. Even the world of Captain Scarlet, overshadowed by the ultimate War on Terror, is fundamentally our own. Apart from the Mysterons threatening to blow up stuff or assassinate people, life goes on for most people – as it does in ours. Much the same applied to Thunderbirds: unless you were caught up in the disaster of the week, the world of the Tracy Brothers seemed a fairly livable place. Especially if you were stupidly wealthy, and could afford to hang out in Monaco. Thunderbirds is coming back, of course – this time it’s Thunderbirds are Go! 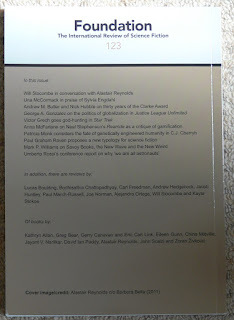 – and while I’m quite indecently excited at the prospect (can you tell I’m a diehard Anderson fan?) I also hope that the new series doesn’t stray too far from the spirit of the old. I’m not talking about puppets versus CGI, or whether the new vehicles look better or worse than the old – I mean the setting, the larger world in which the action takes place. I want that same sense of continuity with the present, looking forward but also acknowledging that the future will be just like Now, only with more stuff. Anderson got that splendidly right in the sixties, and by the time I came to his shows in the early seventies – via battered old Thunderbirds and Captain Scarlet annuals, Dinky toys and the occasional blink-and-you’ve-missed-it TV re-run – it made the twenty first century seem exciting. I wanted to live long enough to see Gerry’s world. Now it seems I have. This piece originally appeared in SciFi Now magazine in 2015.